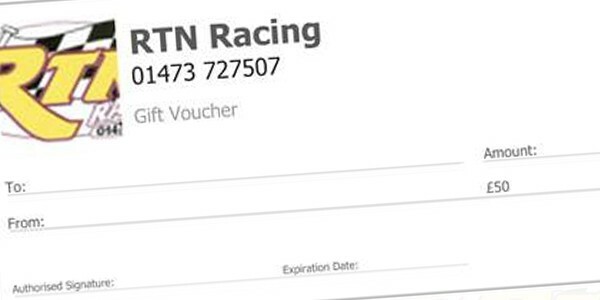 Introducing the RTN Racing Gift Voucher – ideal for Christmas and all other special occasions. Please note, the minimum amount is £5.00. These vouchers can also be used as a payment towards an outstanding bill a customer may have with us.